cs maakt - made by CS: Sparkle and Bling. 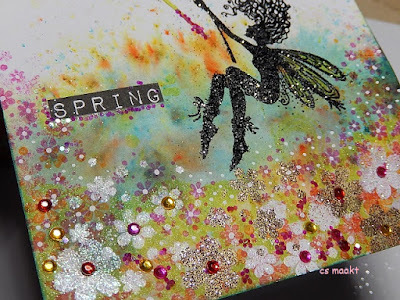 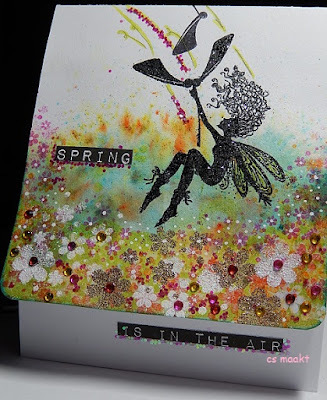 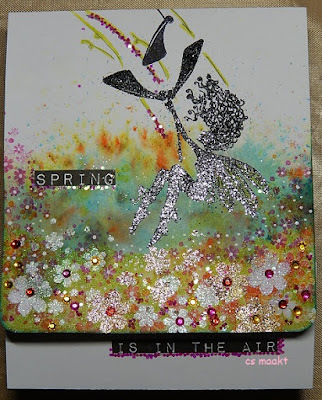 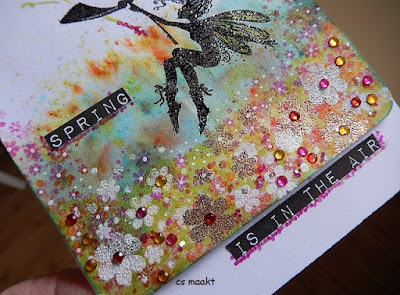 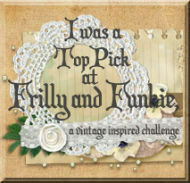 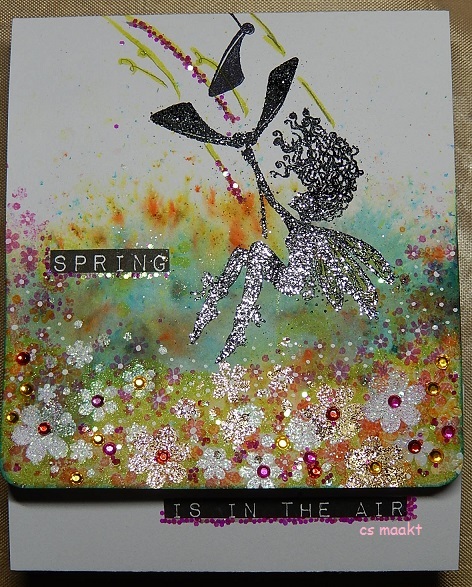 My creative challenge for March is "Sparkle and Bling" at Lavinia Stamps. 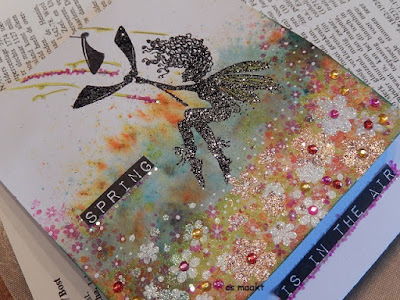 I used only 3 stamps for this card. 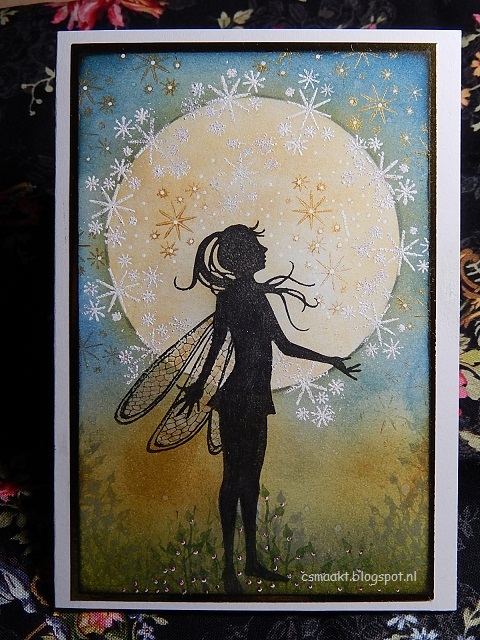 This is the beginning, I started with a little Brusho. 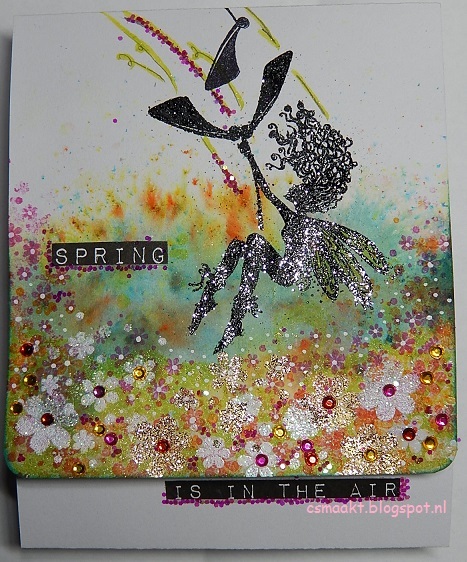 Stamped the little flowers with different colors Distress ink. 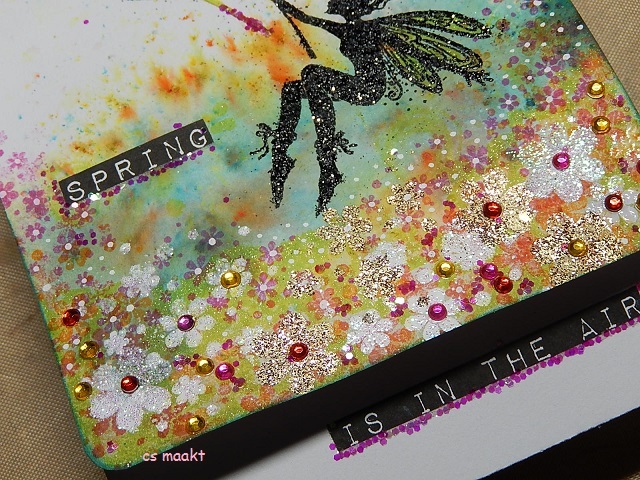 I used embossingpowders with glitter, Wow-Black twinkle, Sparkling snow and Fool's gold.